Do you ever wonder what the healthiest sweetener is? Is it agave? Maple syrup or raw cane sugar? My opinion is always any sweet whole food, still pretty much in it’s original form. I think anything that’s been extracted and heavily processed and preserved isn’t going to be anywhere near as healthy as a whole fruit such as dates. Dates are rich in fiber (which can slow blood sugar spikes down), and they’re also good sources of potassium, iron, numerous antioxidants, and Vitamin-A. 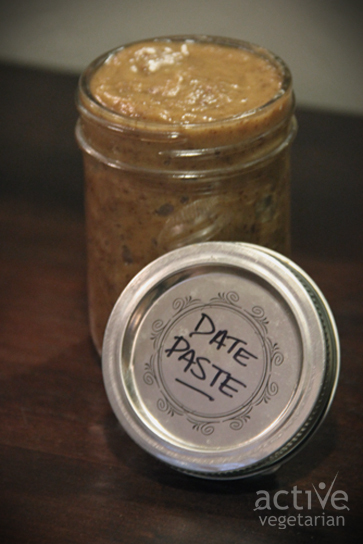 Date paste is therefore not an “empty” sweetener: it’s sweet, but it contains a lot of good stuff along with the sugar. So how do you make this healthy sugar alternative? 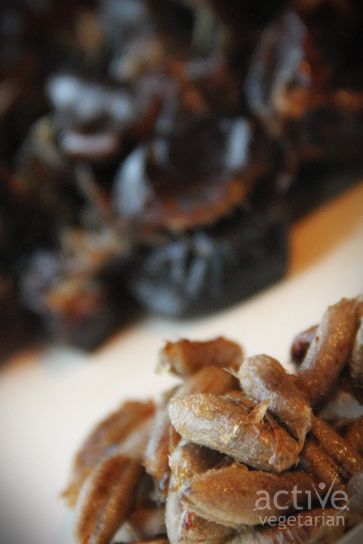 In a food processor (or blender), process 2-4 cups of whole, pitted dates. As the dates are processing, slowly add 1/4 cup water. Process until smooth, adding more water if necessary. The consistency you’re going for is thick, like peanut butter. If you want to use the date paste as a spread or topping, you can just thin it with more water – but for recipes, thicker is better. Keep it refrigerated. It should keep for several weeks – if it lasts that long! I hope you give this a try – and happy baking! What type of dates should I use? Use any type of date that you like but make sure they are natural with no added ingredients as sometimes dates are coated with syrup to make them look shiny. 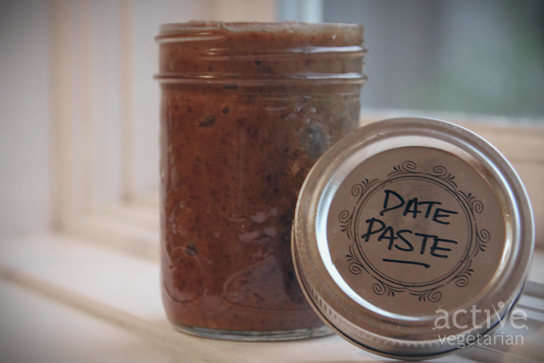 How much date paste should I add to my recipes? If you are making baked goods I would replace the liquid sweetener with exactly the same amount of date paste otherwise it may alter the consistency of your dough. However for other recipes you might be able to experiment with the quantity a bit more. For smoothies and recipes where it’s easy to adjust the amounts I would just add the date paste to taste. wow………wow……..love the recipe thank you. According to the American Diabetes Association, the myth that diabetics need to avoid all fruits is a persistent one. Although naturally sweet fruits do contain more carbohydrates than non-starchy vegetables, fruits also provide the fiber, minerals and vitamins you need to stay healthy. If you choose super-sweet fruits like dates, however, portion control is crucial. Consider using small amounts of date paste, rather than making these sugary treats the main ingredient of a meal or snack. In general, people with diabetes should aim for fruit servings that don’t exceed 60 calories and 15 g carbohydrates, according to MayoClinic.com – your mom would need to restrict herself to 2 tbsp. or 3 dates to avoid having too many carbs or calories.